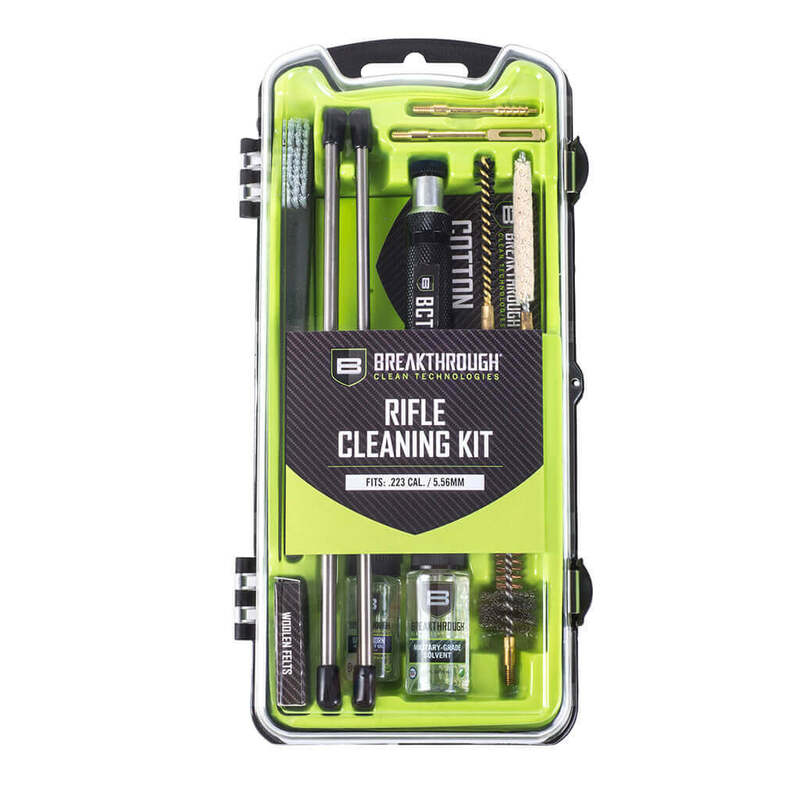 The new Breakthrough® Clean Battle Rope™ Kits are available in a wide variety of caliber widths, to cover all your firearm cleaning needs and includes our Military-Grade Solvent and High-Purity Oil Lubricant to give you a quick and easy clean no matter where you are. Designed to better clean the bore of your firearm, the Battle Rope’s™ integrated bronze brush and detachable hard bristle nylon brush provide twice the cleaning action. The threaded brass link allows for quick detachment of the hard bristle nylon brush for ease of cleaning the rope and its weighted brass end makes it easy to guide the rope through the barrel. The Battle Rope™ features a patented flex cable section allowing you to pass the rope through the ejection port without having to field strip your firearm. 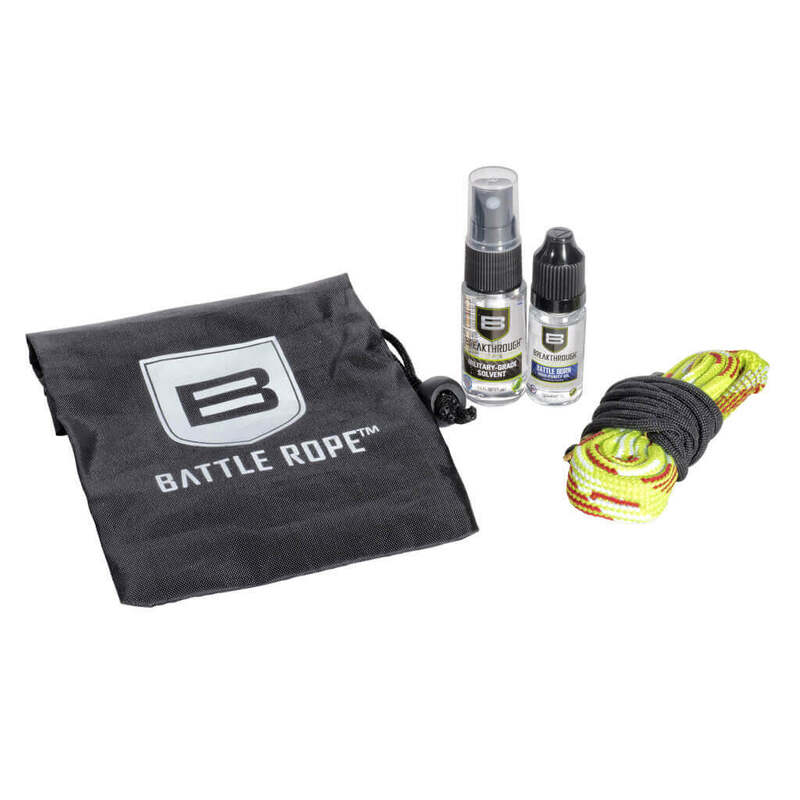 Thicker than other leading brands, the Battle Rope™ fills the bore completely for a superior clean and its caliber tag makes it easy to always identify the rope you are using. These cleaning kits come with cleaning rod sections, various hard bristle nylon brushes, jags, patch holders, and cotton patches. 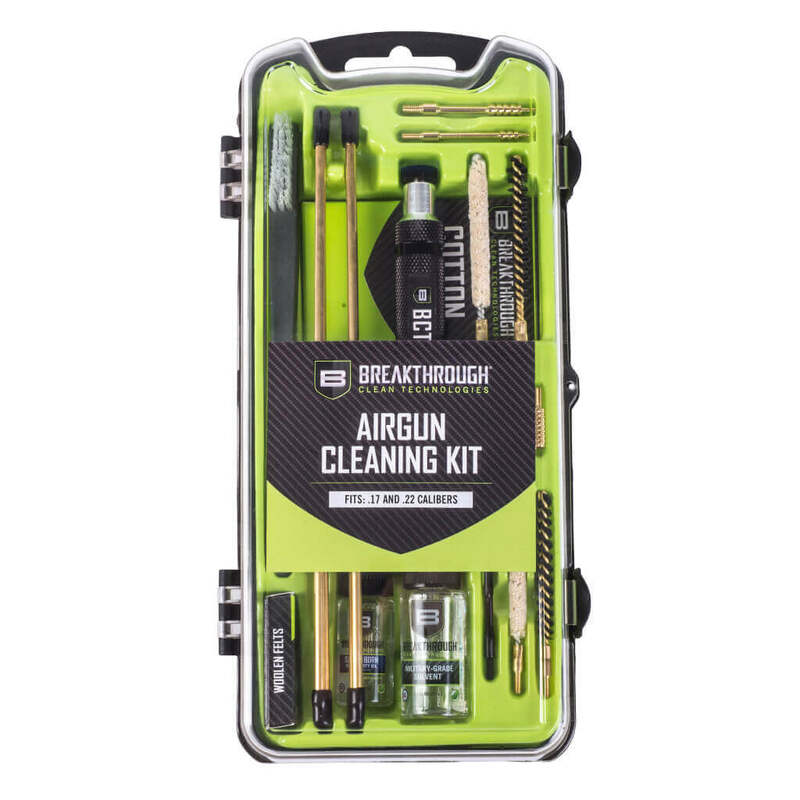 Also included is our durable polymer “T” handle for an easy grip and our mini bottles of Breakthrough® Military-Grade Solvent and Battle Born High-Purity Oil. 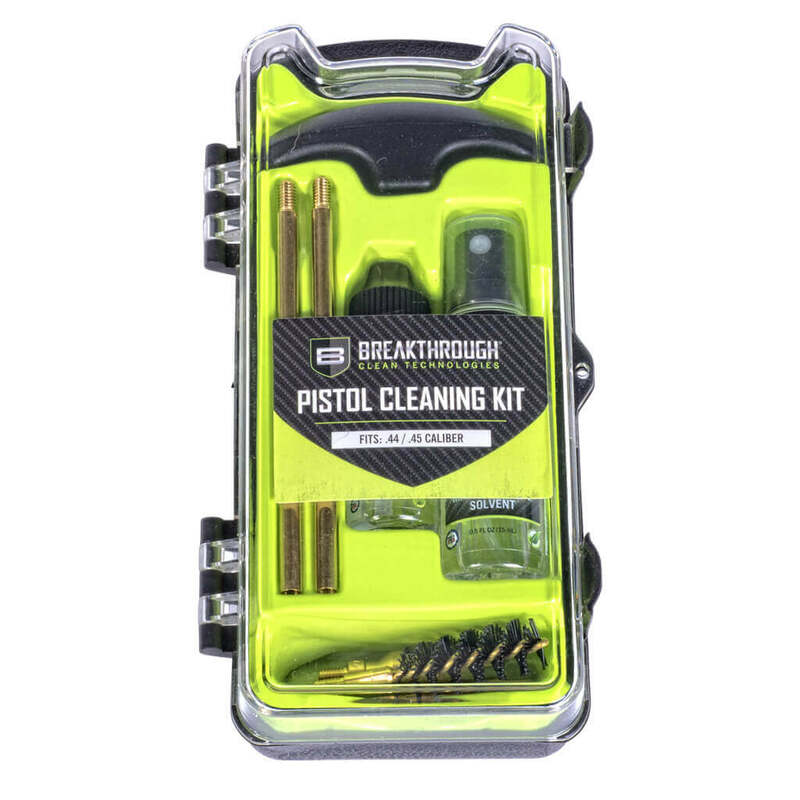 Our custom designed LOC-223 (Long Gun Operator’s Cleaning Kit – .223 cal./5.56mm) is a perfect choice for cleaning your AR-15. 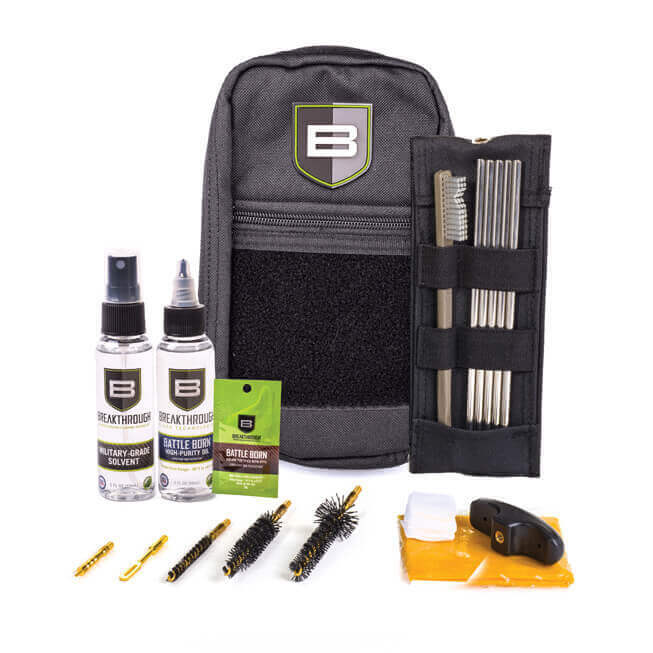 The kit includes a durable nylon pouch, our great rod cleaning tools with our Military-Grade Solvent, Battle Born Grease, and Battle Born High-Purity Oil, giving you the right tools to get the best clean. Designed to clean .223 cal./5.56mm rifles.